Regarding Ann Wiens's "Public Offering" ("Editor's Note," Winter 2012), how much money will it take to satisfy the school system's needs? This is always an issue, no matter how much money the voters in Oregon decide to give to the school system. The school district gets what they want, then the next time they have an opportunity, they say they need more . . . for the kids. Our politicians support schools, but surprisingly, the first thing they want to cut is schools. Does this make any sense? I guess it does if you want to scare people into giving (or forcing others to pay) more and more of their hard-earned money. Can you tell me there's absolutely no waste in the K–12 or college systems? Can you tell me there's absolutely no way to cut costs? Can you tell me they are running as lean as absolutely possible? How do you feel about those of us who are paying for this? We're losing our jobs, our homes, our retirement savings, while you want us to give more and more. Or do you plan on taking more from the rich corporations? The same corporations that we work for? It sure would be nice to have a guaranteed raise every year. We haven't seen one in at least three years, while the government takes more, and things cost more. It sure would be nice if all of us could be a teacher or have a government job. But who would pay all the taxes then? Do you get your paycheck from the UO? If so, you probably don't get it, which explains your article. Do you not care about us? It seems like it. How about a little relief for us? I find the statement "as resourceful parents" ("Public Offering," Winter 2012) to be irritating at best, as I am sure there were any number of parents who were highly resourceful in Chicago whose children did not get into one of those "high-performing schools." As was the case with my parents, their resourcefulness is no match for someone with a lot of resources. It would be far more accurate and fair to other parents who do the very best they can for their children to begin that sentence with, "As parents with resources such as education, influence, time, and money on our side . . ."
As to the rhetorical question, "Is this the degree to which we value education?" I would ask that it be applied to a school administrator who retires from their full time, $120,000 position at 110 percent retirement pay and then is rehired part time by the same district for an additional $120,000 per year. Please spare me the rebuttal as to why this would be fair, as the basis for any argument in favor of this situation comes down to being one or a combination of the following: "It's not their fault, they're entitled, it's legal, and there's nothing we can do to change it." If you doubt me, just recast any school budget with the retirement contribution cut in half and see how it impacts the classroom. Ann Wiens responds—My editor's note took issue with the inequities in public education, which have been exacerbated by a troubled economy and some of the very issues mentioned in the letters above. My view, which is consistent with the mission of the university, is that access to higher education must not be limited to those with the very resources Bob Peterson cites. The data are clear: when the state invests in public higher education, it sees a good return on its investment. But what do we do when there is little to invest, when Oregon households are hurting and state money has been overcommitted already? Governor Kitzhaber spoke to this in his State of the State address in January, warning of the increasing costs associated with maintaining the status quo for public education, let alone improving it. If increased state appropriations for education are not forthcoming, we must find alternatives. We must be creative and, yes, resourceful. We don't yet have the answers, but we must not avoid the discussion. On that, I believe, we agree. 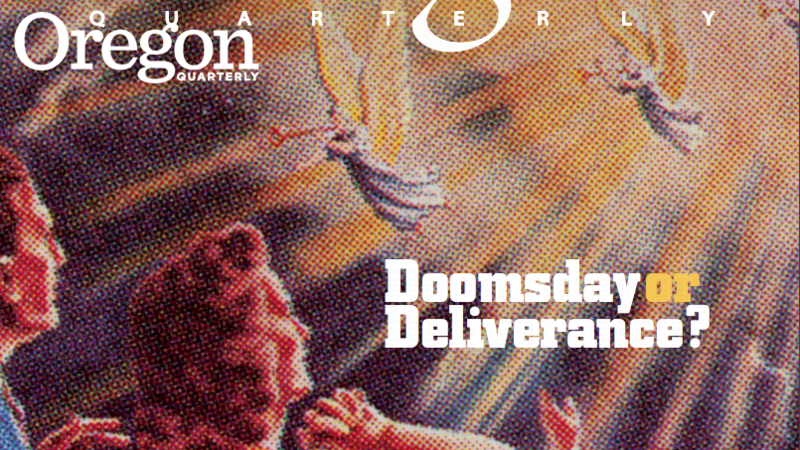 I've never read anything quite like "Long Journey Home" in your Winter 2012 issue. What a remarkable story Wyatt Harris has lived, and what a brilliant article Kimber Williams crafted to tell it. Traveling recently in the province where Wyatt was born and abandoned (my wife is a native of another Yangtze River steel town) offered only hazy glimpses of the Chinese rural family life, but the article and photos brought it into focus. The extraordinary tide of fortune that carried Harris away from that life, and then brought him back to his birth family, reads like a movie screenplay—which it should probably be someday. Extraordinary. Thank you for writing this article. It was beautifully written and brought me to tears several times. As a mother of five (three adopted) children, it touched me deeply. penguin, Pygoscelis papua, with a white patch above and behind the eye, a red-orange bill, and red-orange feet. Editor—You are correct, of course. 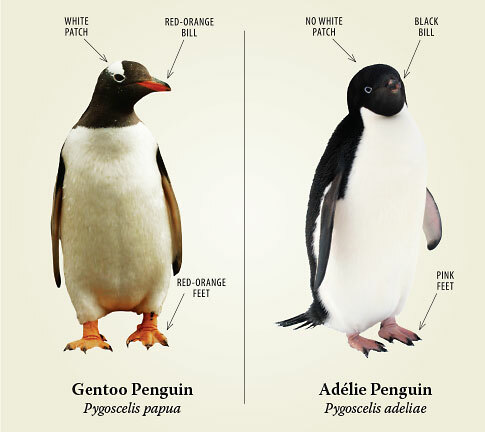 Lest others make the same mistake, we've created a handy penguin identification guide. We will never again confuse our gentoos with our Adélies. The mention of University High School in "The Best . . . Place to See the Fall Leaves" (Winter 2012) caught my eye. The article triggered many fond memories. I was a student at "Uni Hi" in 1952 and '53. It was a great experience. Unfortunately, Uni Hi is almost completely forgotten except by the few of us still around. Thank you for mentioning Uni Hi.